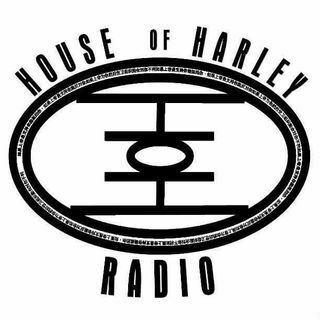 The overall mission of House of Harley Radio is to Educate, Empower, and Entertain ALL Walks of Life. House of Harley Radio Presents 2 Bright Kidz!!! This show is about very intelligent kids discussing topics that are important to them. They will be having other kids as special guest that are out there making a difference in their community. Adults are allowed ONLY if you are SUPER COOL!!! Just kidding...but we welcome EVERYBODY!!! ... See More 2BKz....LET'S HAVE FUN!!!! Here at House of Harley Radio we love music and we love you artists that are out there doing your thing. We love yall so much that we are giving you all a special night. Join us May 8th @8pm. House of Harley Talk Radio is HOME of the Local Artist!!! House of Harley Talk Radio tackles 'the pink elephant in the room' by discussing and debating real, raw and relevant issues that impact our families, communities, our states, and even the world. The overall mission of House of Harley Radio is to Educate, Empower, and Entertain ALL Walks of Life. We are looking to bridge the gap ... See More between young and old generations, by ushering in healing in the areas of gender equality, socio-economic class, and race relations, and engage youth to speak out directly on topics concerning them in the midst of a hip-hop, R&B and various genres of music culture. There aren't any topics that we won't cover. There are topics that are very sensitive and we are willing and able to tackle them.